Jan Hage began organ studies with Kees van Eersel and then entered the Utrechts Conservatorium where his teacher was Jan Welmers. He continued studies in France with André Isoir where he earned his Prémier Prix ‘à l’unanimité du jury’ at the Conservatoire National de Région te Boulogne-Billancourt. He won first prizes in competitions in Leiden, Bolsward, Schaffhausen and Poitiers. In 1995, he was named organist at the Kloosterkerk in Den Haag. 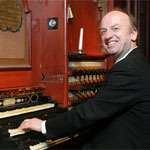 He became organist at the Cathedral in Utrecht in 2011. 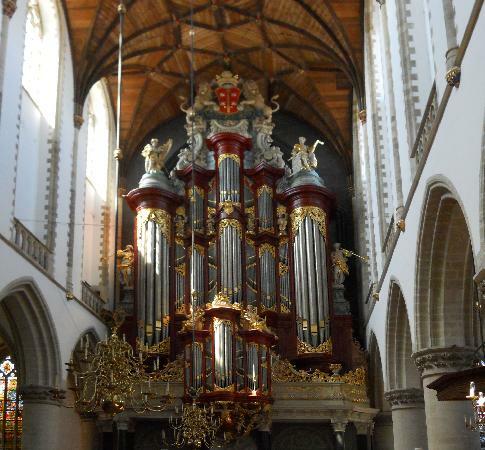 He has recorded several CDs of contemporary organ music. Posted in Organist. Tagged Den Haag, Dutch, Jan Hage, Netherlands, Utrecht.